Lately I’ve been thinking about how nice it would be to have an extra VCA so I can have different amp/volume stages for the two oscillators of my Behringer Neutron for instance. You know, the usual ‘eurocrack I need more stuff to put wires in’ kind of thoughts. 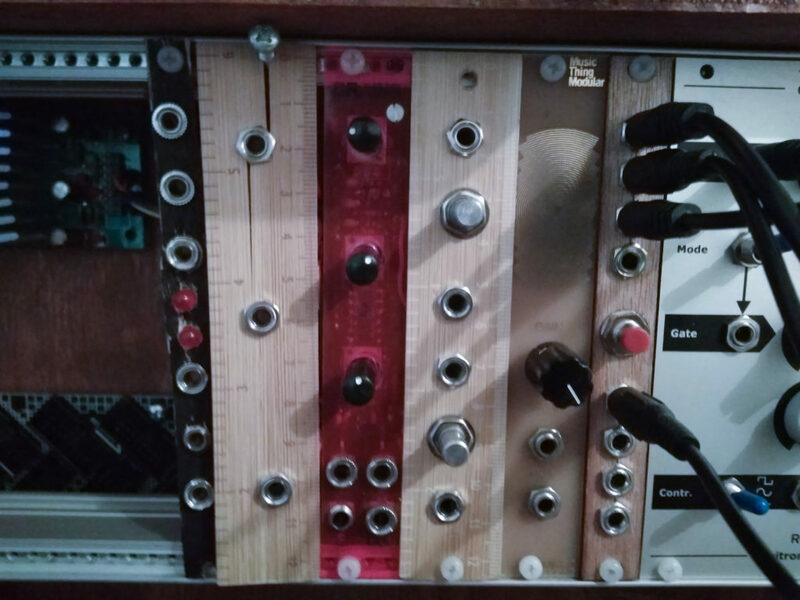 Ofcourse I could go and just order a eurorack VCA module, but making one myself would be way more fun. And reading about vactrols and how easy you can make a ‘VCA’ with those, I ordered some parts and a short while later, heated up my soldering iron.’VCA’, because technically, it’s not, but anyway, it does what a VCA does, but maybe it’s more like a voltage controlled attenuator, but who cares, here it is! I started off making the panel of some wood I had in my basement. The wood split a bit sadly, that is why in the end I made it black, to cover that up (didn’t go well). Maybe I’ll make a new panel later on, but probably not. I started with the panel, so I could screw the jack sockets into place which makes it easier to solder everything after that. Making the vactrols yourself is easy. 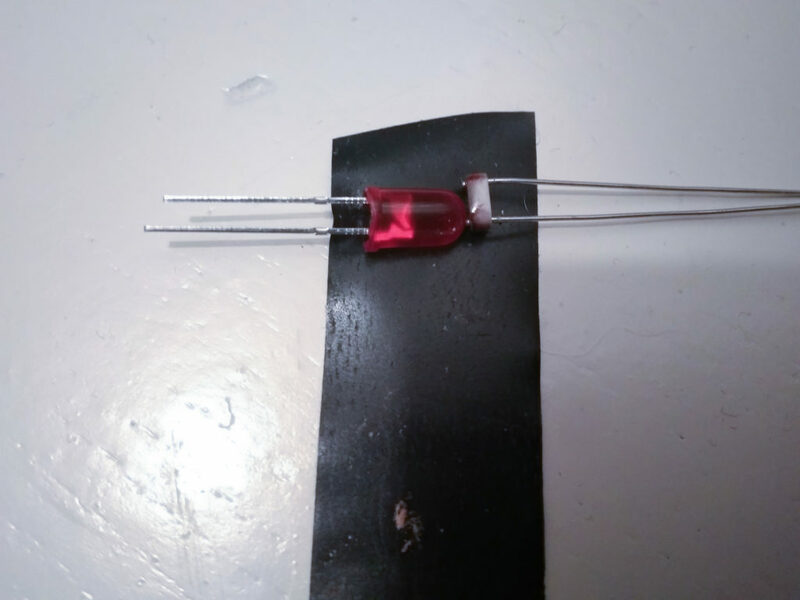 You just have to take the LDR and the led and put some tape around them, sealing the LDR and led from any other light other than the led. After that it’s just a case of soldering the vactrol in place and connecting the sockets. 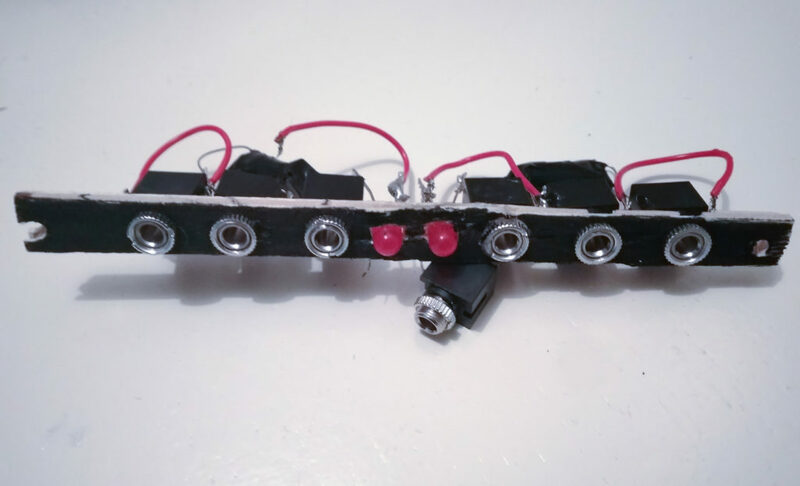 I still can’t read schematics properly, so for other people like me, I made a crude drawing on how to solder all parts to make this vca (check gallery). 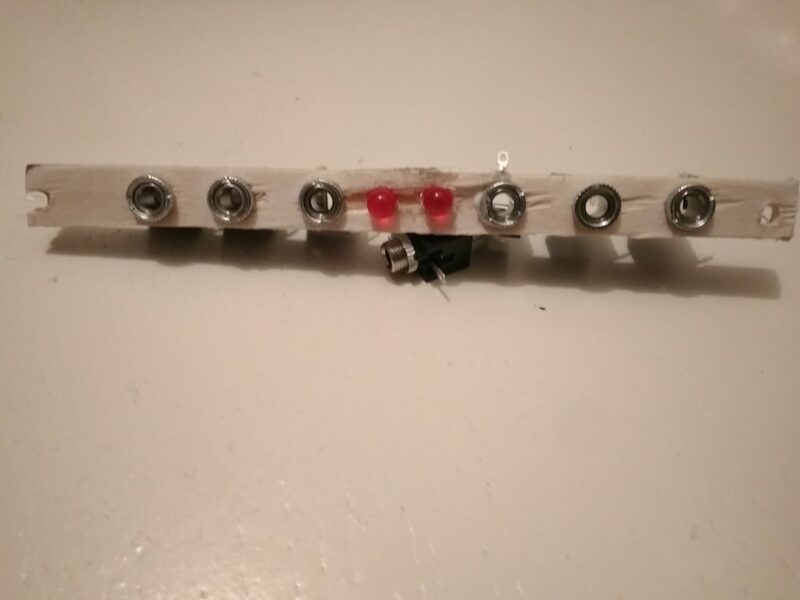 BOM for this thing: LDRx2 – Ledsx4 – mono jack socketsx6 – piece of wood/plastic/metal for the panel – solder and wires. Costs less than 5 euro’s/dollars to make! The two leds on the panel aren’t really necessary, but give a nice visual reference of the modulation added to the input. So that’s about it. 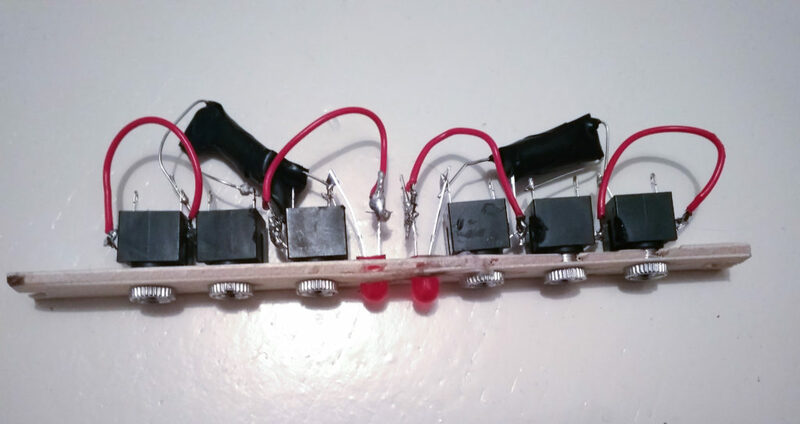 Cheap, fun and quick to make and works like a charm.